Jacqueline & Michael were married beachside at the Sea Crest Beach Hotel in Falmouth! Kim and Sean seriously lucked out. The day before their wedding was a mess of rain and thunderstorms. Luckily, by the time their wedding day came around the sky cleared, humidity dropped, and the sun was out for a perfect summer day wedding. Upon my first conversation with Kim I knew this wedding would be special. Kim is the kind of person you speak to once and immediately feel like close friends. During our first phone call I mentioned to her that Mark and I were going on a trip to Lincoln, NH and she immediately shared some awesome recommendations around Loon Mountain, a place where her and Sean visited often. They are seriously the sweetest couple! Kim and her bridesmaids got ready at the Mirbeau Inn & Spa while Sean and his groomsmen got ready at their family beach house on Priscilla Beach. The two were married at St. Bonaventure Church, the same church where Kim's parents were married. We ventured to the Plymouth Yacht Club for their formals, where Kim and Sean enjoyed a quick picturesque boat ride around the harbor. Following that, we headed out on golf carts to some beautiful spots on the grounds of the Pinehills Golf Club. I need to take a moment to emphasize how badass Kim was while taking photos… I can’t even tell you how many spiders were crawling up in her veil. She didn’t even flinch!! When Mark and I first walked into their reception room at the Pavilion at Pinehills we were blown away. Everything looked SO beautiful, from the huge floral arrangements on the tables to the open wooden beams with string lights hanging over the dance floor. The only way I can think of describing it is a "chic rustic beach vibe"...if that makes sense! It was gorgeous how everything came together. Shout out to Beach Plum Floral for absolutely killing it! The dance floor stayed packed the whole night, it was a great wedding! One highlight was when the band let the father of the bride take over on drums! How awesome is that! We loved watching him rock out with his daughter and new son-in-law, jamming along in the crowd. All in all, it was such a great night spent with the best couple! We're so thrilled to release their wedding film! Alisha & Galen were married in the Green Mountains of Vermont. Maryellen and Chris are an adorable couple. It was so obvious on their wedding day how truly in love they are. They both radiated sunshine on an otherwise misty, gray day. If there is an opposite of "Bridezilla," that would be Maryellen, or "Melon" as her family and friends call her. She was so calm and collected and smiling the entire day. A little drizzly rain on her wedding day? No biggie. You could tell her and Chris were the perfect team when Chris scooped her up to take her across the damp golf course for photos with no hesitation. As Maryellen's father mentioned in his FOB speech, the two of them are "ultimate planners." It showed tremendously through the style and elegance of their reception. 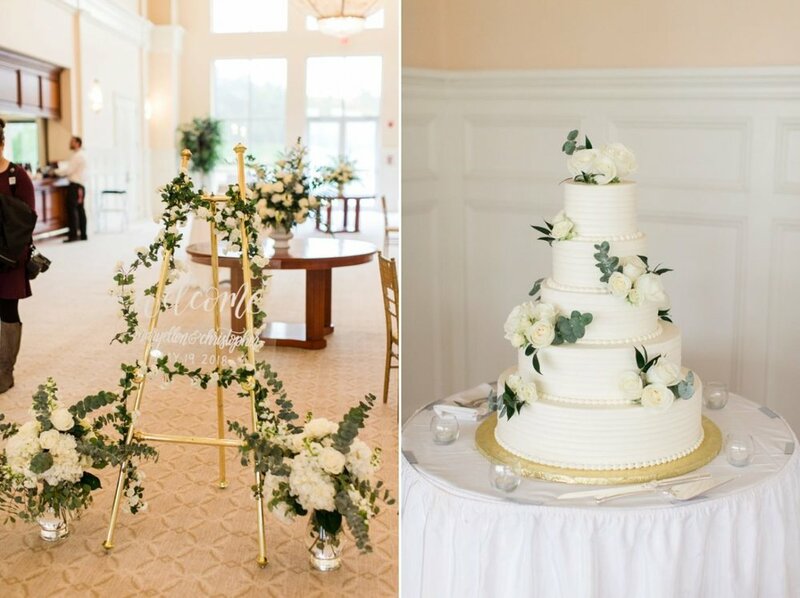 The Indian Pond Country Club is an elegant and bright South Shore venue that was perfect for these two. They had gorgeous flower arrangements done by their close friend, a guest at the wedding who recently started her own flower business (Flowers By Emily). She even "flowered" the cake, which looked incredible! Their DJ, Peter Accolla of NuImage, had everyone dancing on the dance floor the entire night! It was truly a spectacular night spent with a fun, loving couple and a great group of their friends and family! We are thrilled to have been a part of this day and are so happy to share their wedding film! We are happy to release a sneak peek of Maryellen & Chris' wedding at Indian Pond Country Club in Kingston MA!